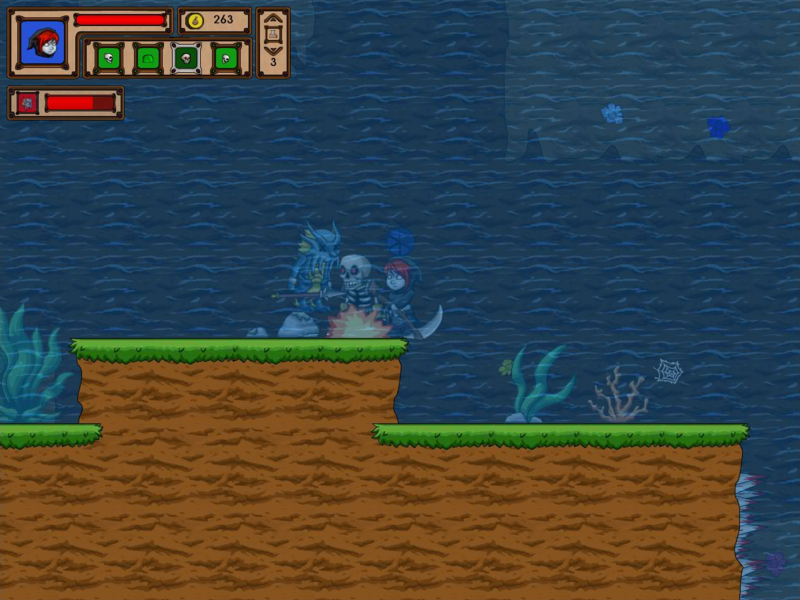 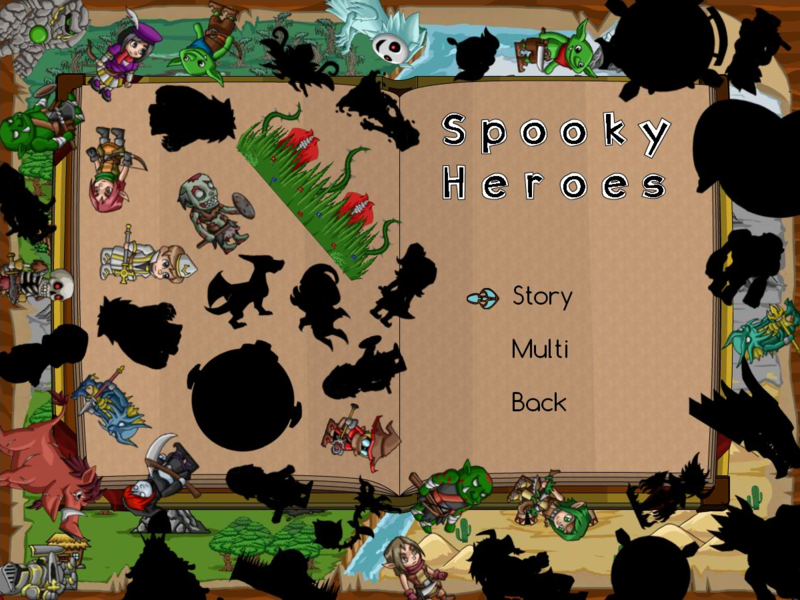 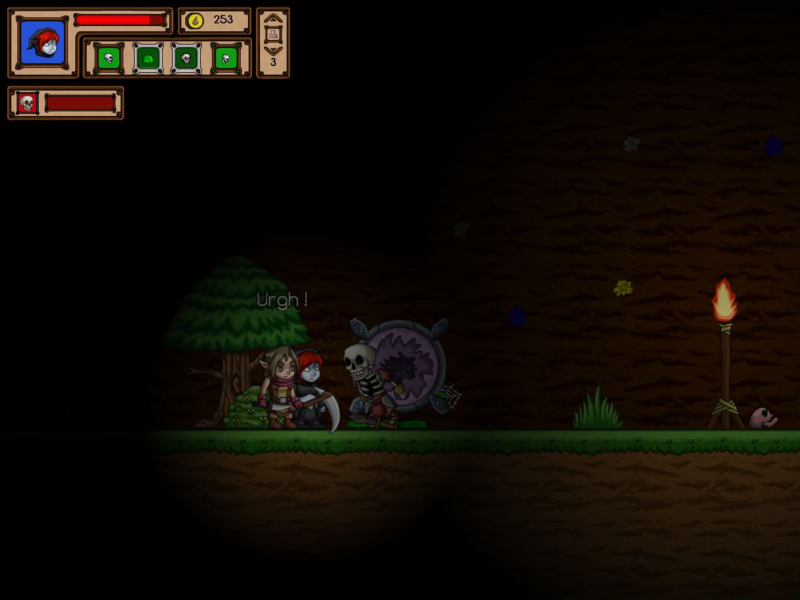 Spooky Heroes is a 2D platform game by Gaweb Studio. 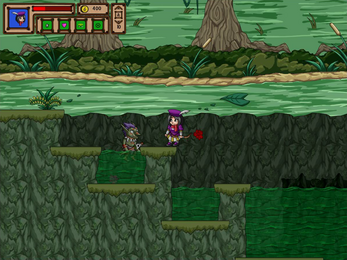 It offers classic arcade gameplay that mixes elements from Megaman (boss fight), Goemon 2 (quests, money & items), Shank 2 (battle mechanism, survival mode) and recent Moba (hero powers mechanism). 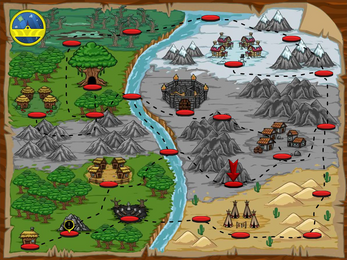 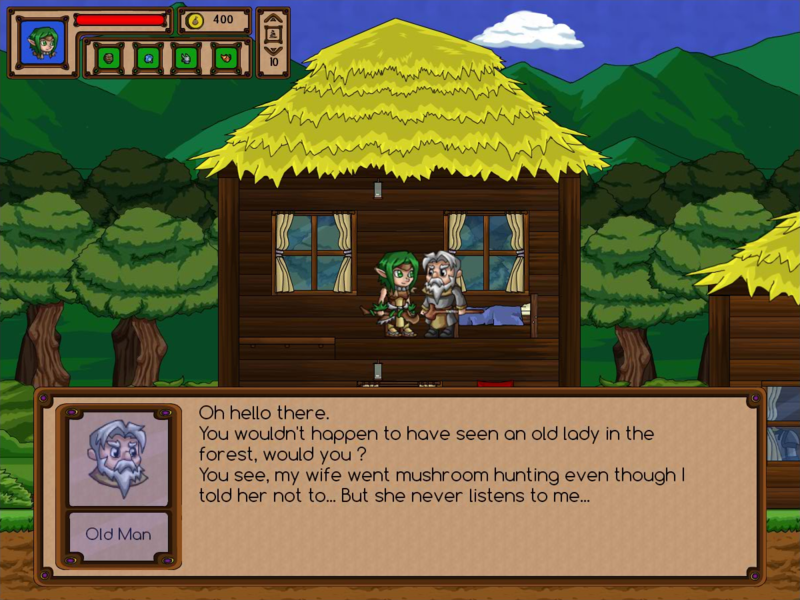 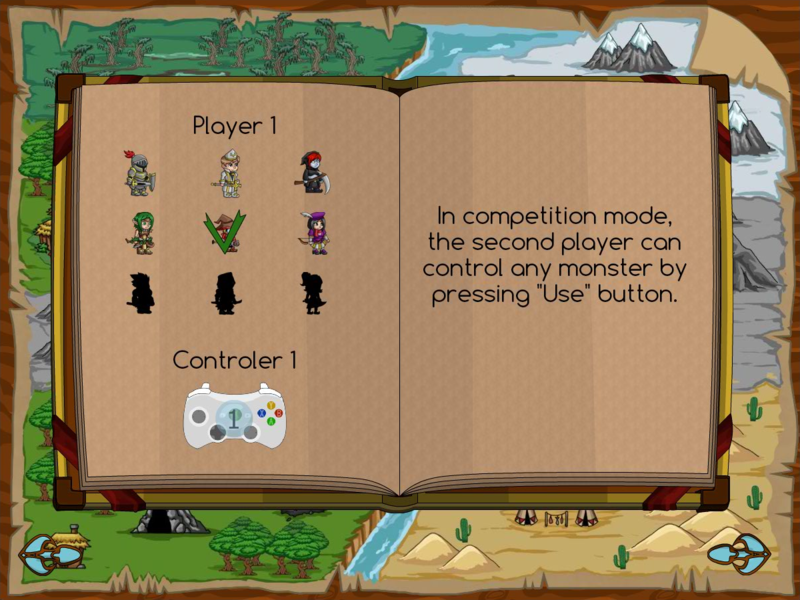 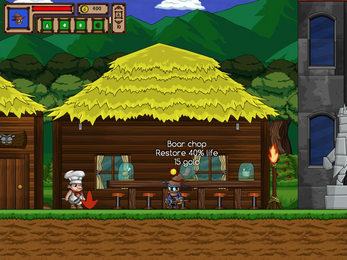 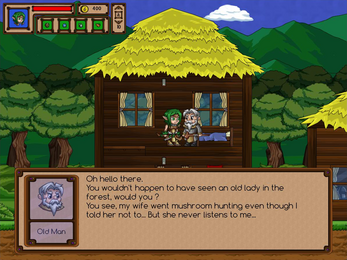 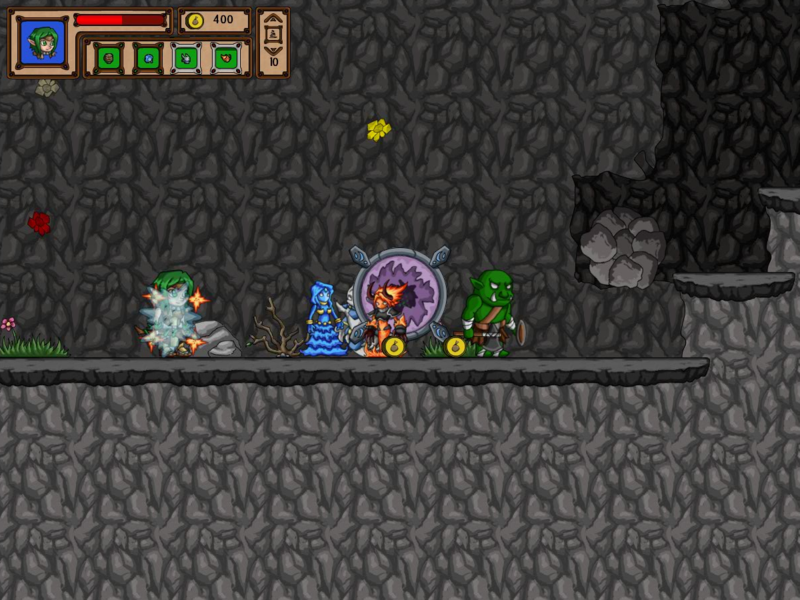 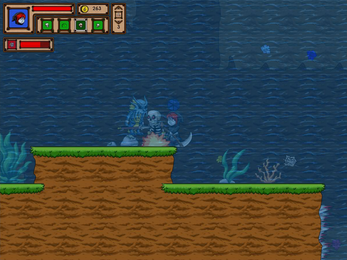 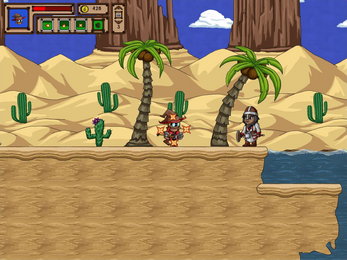 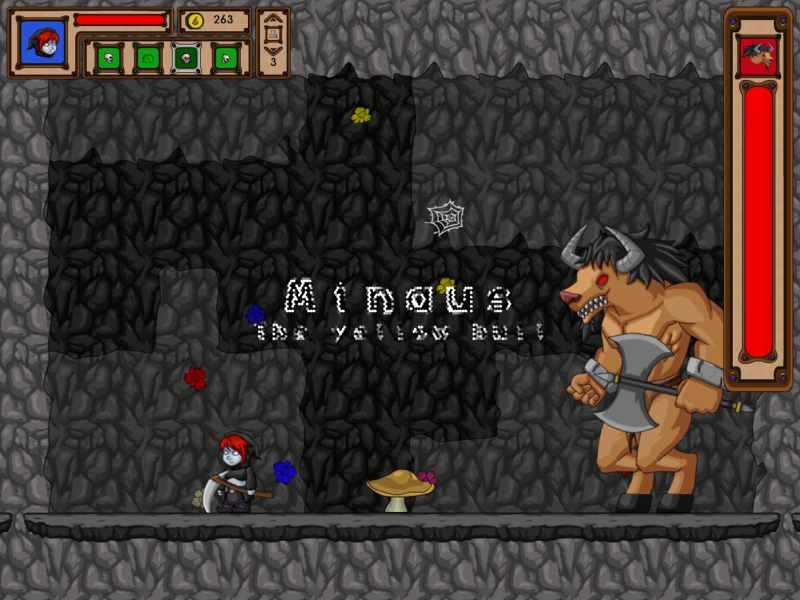 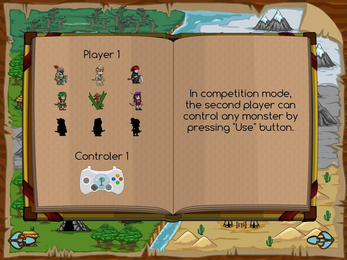 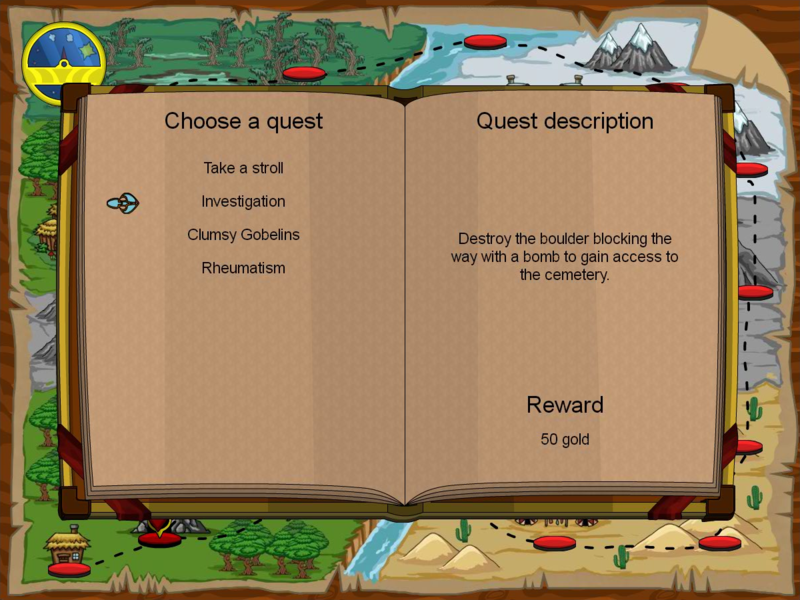 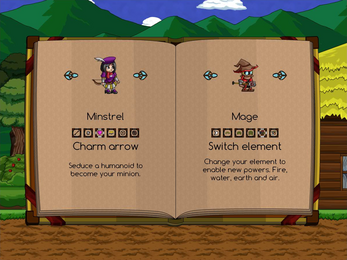 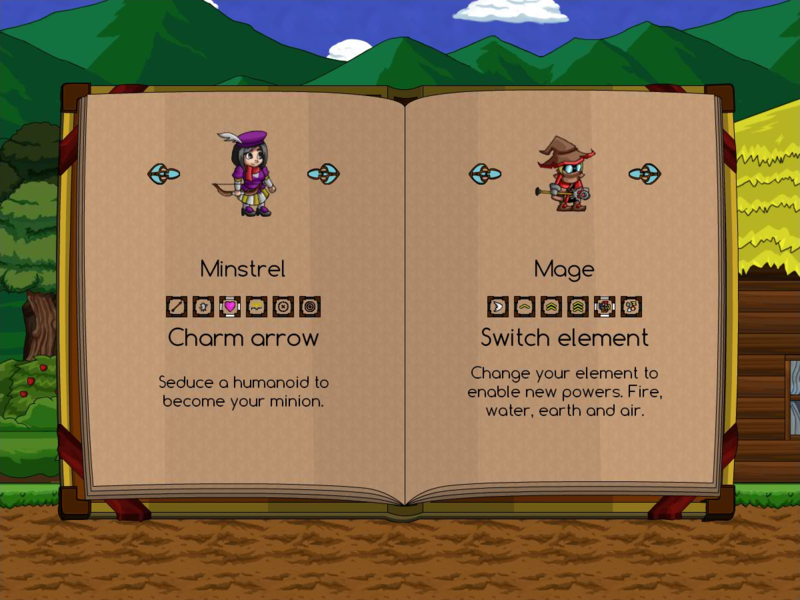 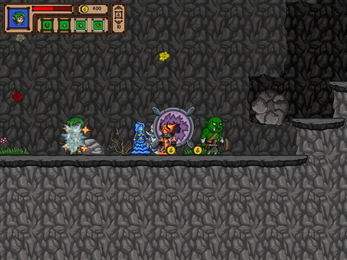 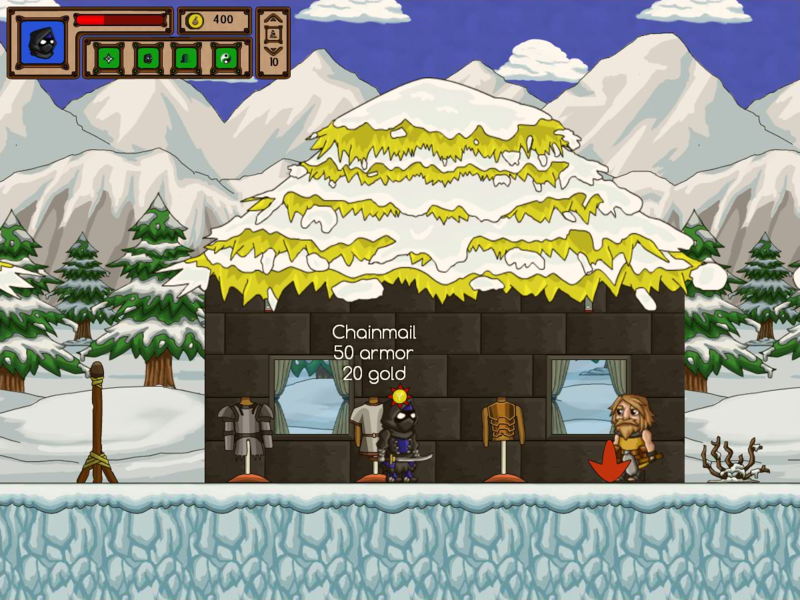 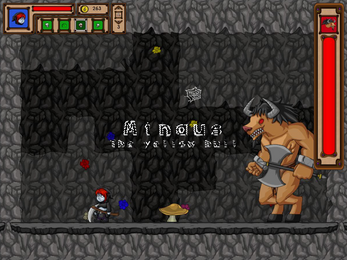 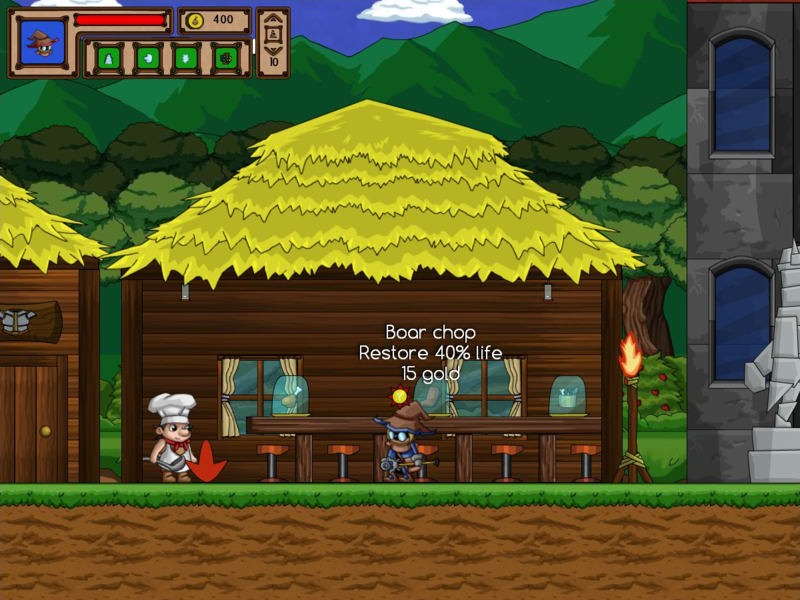 The player can earn money from enemies, bosses, quests or chests and uses it to buy items to help him on its journey. 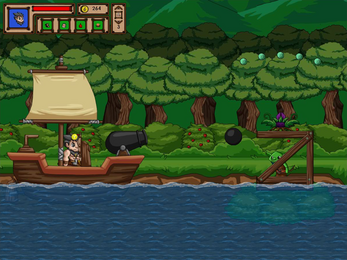 A dynamic day-night cycle is included as well as some special vehicles stages (river with boats or special mountain path with dragon ride). 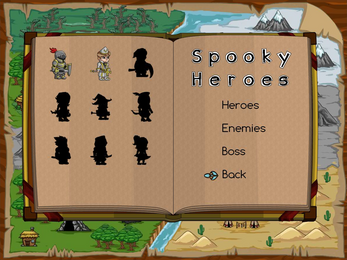 - 9 unique heroes with 3 basic powers, 1 ultimate power and 1 passive each. 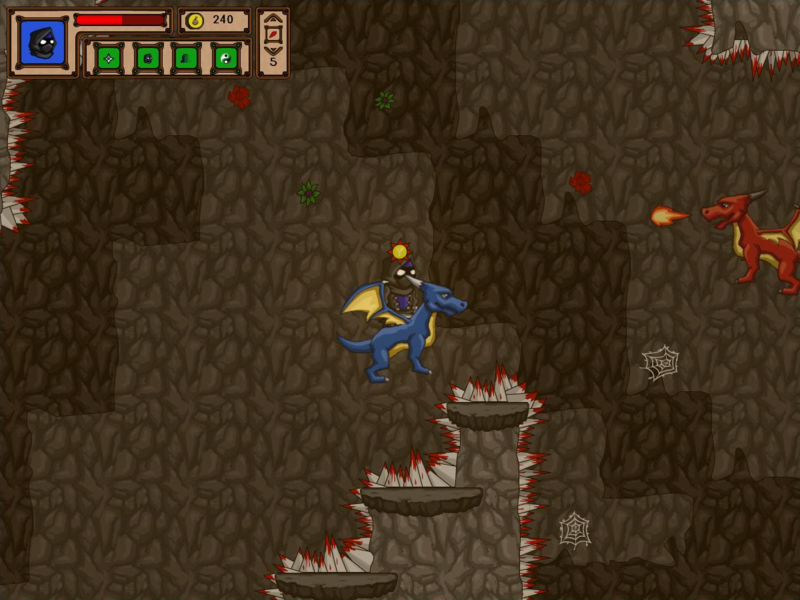 - 3 unique vehicles to ride + 1 (fat) baby dragon ! 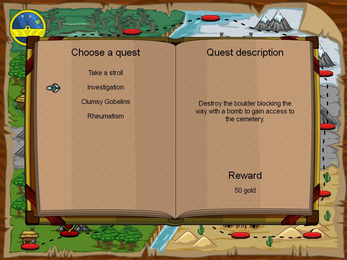 I'm not sure about your question. 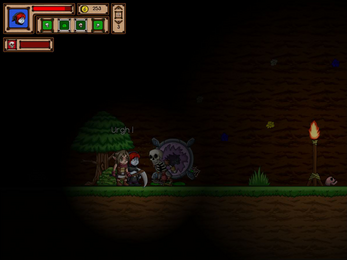 The game is available on Steam, yes.